Ok, I know I already made this block and showed this in my previous post. But isn't more better? At least sometimes? 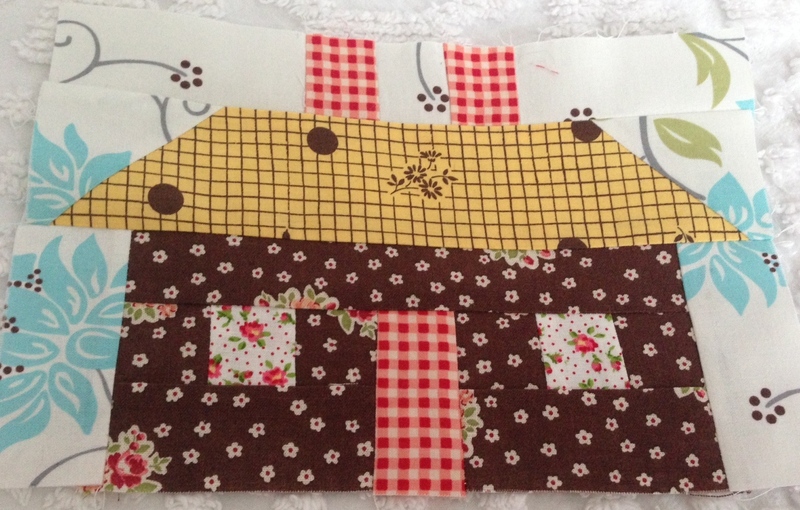 I'm going to include 2 rows of this block in my quilt. 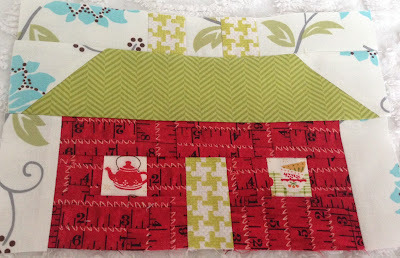 I just had fun with it and had pulled (from my stash) more fabric than I needed for just one row so instead of 5 houses I made 10. Several of the houses have more geometric prints rather than florals. It is a bit of a change for me but I enjoy the variety of some of the more modern quilt fabrics. This peachy sketch fabric just looked like it would make a cute house. I'm really in love with herringbone and hounds-tooth So when these became available in quilt weight, I wanted to have a few colors. And this measuring print was too cute, so I picked up 1/2 yard of each. I think they make a fun house. More mixing of floral and geometric. This one is one of my favorites. Same with this house. I like this blue and white check for a faux window, too. I like this house a lot, too. 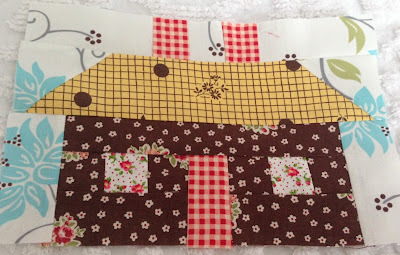 If you notice the chimneys, or not chimneys, I put 2 weather vanes there cut from vintage fabric. The one on the right adds a bit of Pennsylvania Dutch to this house. I like that. Your houses are so charming; love the weathervane! Would love to have a stash like yours to make one for my granddaughter, but I only have repros. 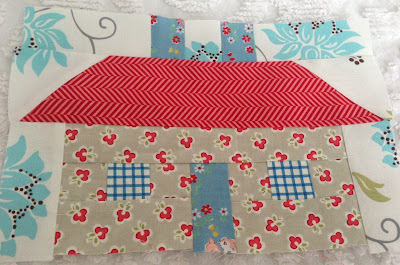 I vote to make an entire quilt of just houses...they are so cute! Love the houses, each in cuter than the next. I think they might be addictive! I love these, too! I keep meaning to ask...what is the background fabric you are using...I so love it! What a great idea! I love more houses, and the windows just say Nanette all over them. The weather vane is a perfect touch for the roof, too. What a beautiful suburb to live in - it would be nice to go shopping for a new home, lol! 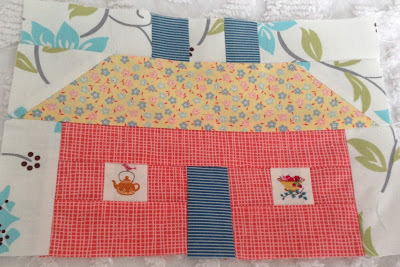 Thanks for giving permission to make more than one row of something for this quilt! I haven't been thinking much out of the box, but I like the print fabric for the background too. I at least have white print on white and not just plain white. So sweet! 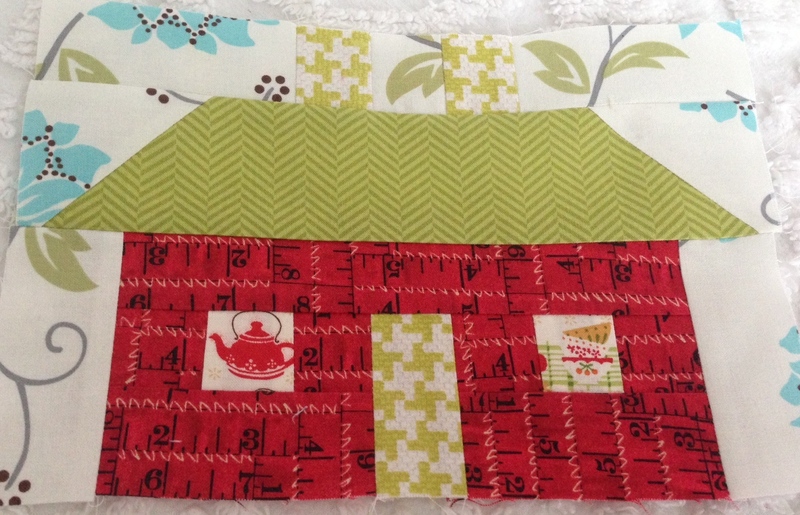 Love your fabric combos!! 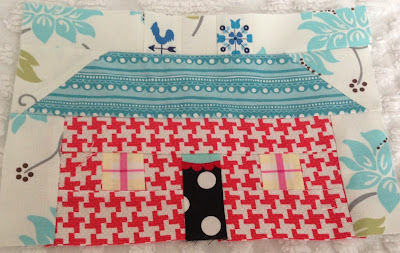 I used to see my mom's friend quilting and I never knew that one day I would start quilting myself. 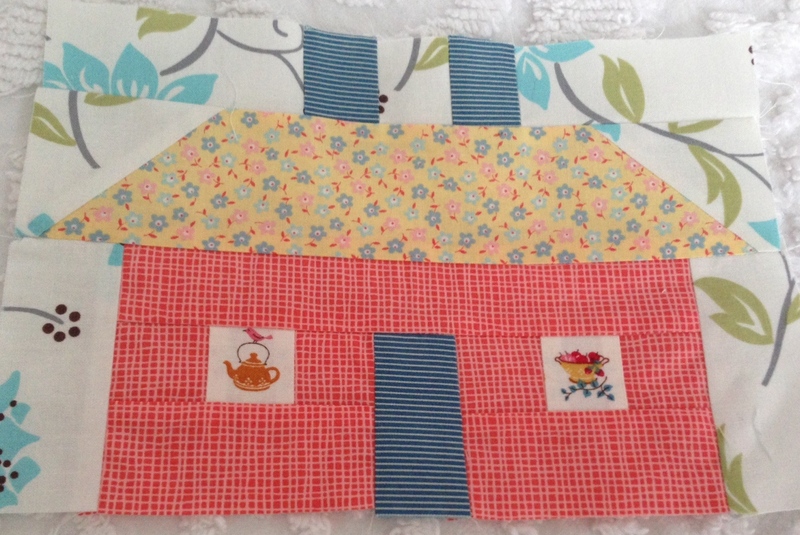 Quilting is a very time consuming but relaxing activity especially after you see what you have made. The houses you made are so cute! Maybe I will do one like this. 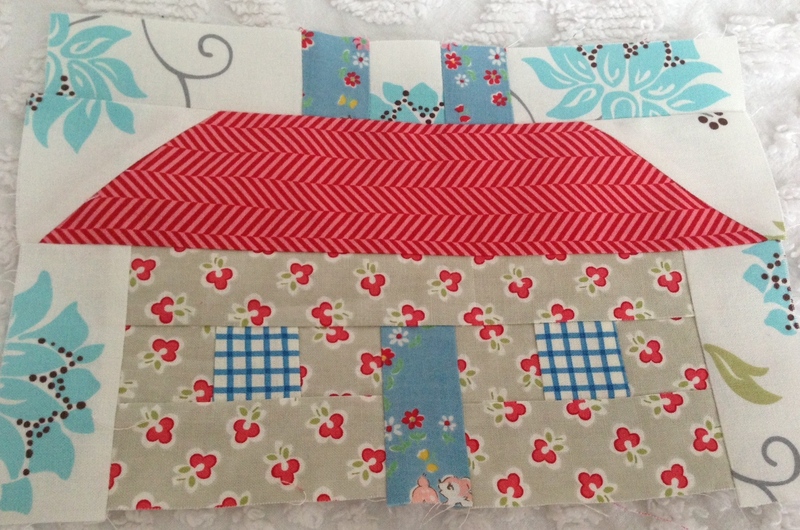 This extra row of houses double the fun and cuteness! 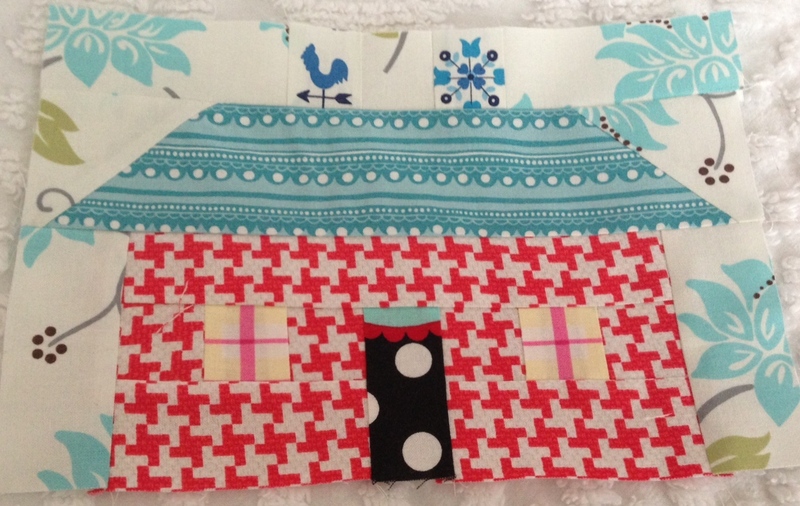 I love how each house has its own special features and how well mixed and scrappy the fabrics are!